A writer, orator, poet, satirist, man of letters and political activist. He is most notable for his Catholic faith, which had a strong impact on most of his works and his writing collaboration with G. K. Chesterton. He was President of the Oxford Union and later MP for Salford from 1906 to 1910. He was a noted disputant, with a number of long-running feuds, but also widely regarded as a humane and sympathetic man. Born July 27th 1870 in La Celle-Saint-Cloud, France to a French father (Louis Belloc) and an English mother (Elizabeth Rayner Parkes). Elizabeth was also a writer, and great -granddaughter of the English chemist Joseh Priestley. In 1867 she married attorney Louis Belloc, son of the French painter Jean-Hilaire Belloc. Five years after they were married, Louis died. Louis had been wiped out financially in a stock market crash. Elizabeth took her son Hilaire and daughter Marie back to England. Hilaire remained in England, except for his voluntary enlistment as a young man in the french artillery. He served his term of service, as a French citizen, with a regiment near Toul France in 1891. After his military service he obtained first class honors in History from Balliol College, Oxford. He was president of the oxford union, the undergraduate debating society. Hilaire and Elodie were married in 1896. In 1906 he purchased land and a house called King’s Land as Shipley, West Sussex where he brought up his family and lived until shortly before his death. They had five children before her death in 1914 from influenza. After her death, Belloc wore mourning for the remainder of his life, keeping her room exactly as she had left it. His son Lewis was killed in 1918 while serving in the Royal Flying Corps in northern France. 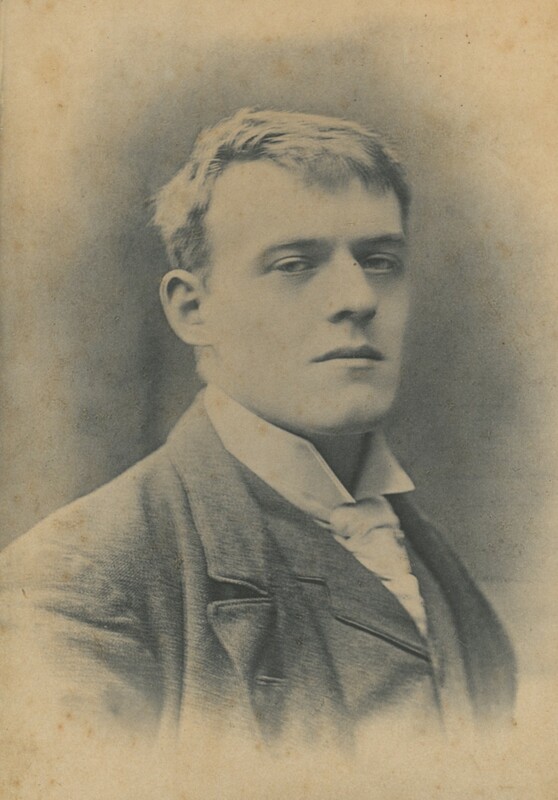 Belloc had a stroke in 1941 and did not recover from it’s effects. He died on July 16th 1953. Elodie Agnes Hogan was born in 1868, the daughter of Irish immigrant parents. She was raised in Napa, California by her widowed mother who was the proprietor of a hotel there. As a young woman, Elodie considered joining a religious order, but also aspired to a career in journalism. 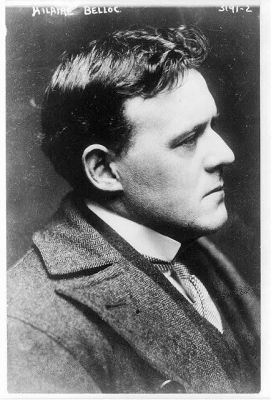 Photograph from the Hilary A. Belloc Collection, MS1998-004, Box 2,Folder 22, John J. Burns Library, Boston College. 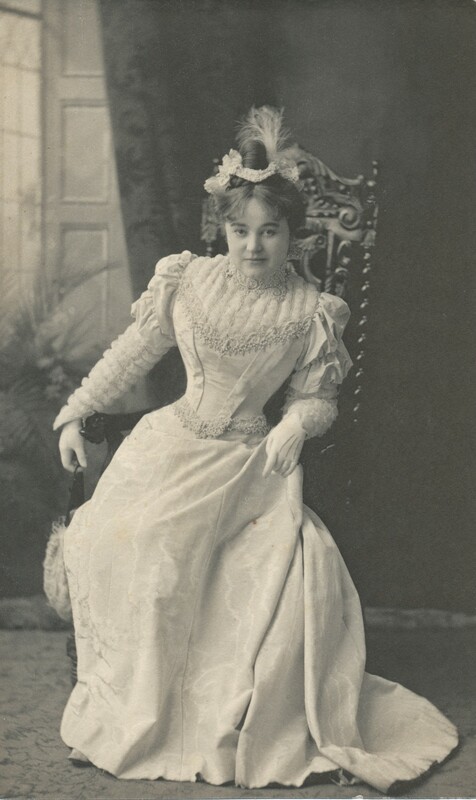 American Elodie Hogan (1868 – 1914), age 22, met Hilaire Belloc (1870 – 1953), two years her junior, in London while touring Europe with her mother and elder sister in the summer of 1890. They were introduced there, at the Belloc family home, by mutual friends. By August, though already in love, Elodie was on her way back to her home in California. The couple began exchanging letters, and it was not long before Hilaire began a journey across ocean and continent to be with her again. Short of funds for such a trip, he traveled across the United States by train, paying his way at times by offering sketches in exchange for room and board. Family objections and practical considerations kept the two from marrying immediately, but although Hilaire returned to Europe, they wrote to one another throughout the intervening years. He returned to California in 1896 and the couple wed in June. The Bellocs had five children – three sons and two daughters. In 1913 Elodie became ill with what was probably cancer, and she died at the family home, King’s Land, in 1914. When she died, Hilaire, heartbroken, closed the door to her room and it was never again opened in his lifetime. Information obtained from Wikipedia and John J. Burns LIbrary’s Blog.